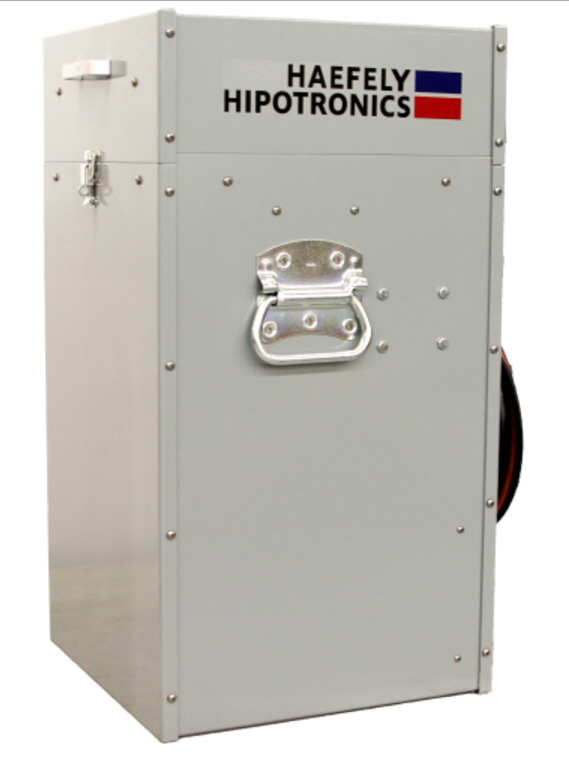 Hipotronics CF30/15-4C Cable Fault Locator / Thumper. 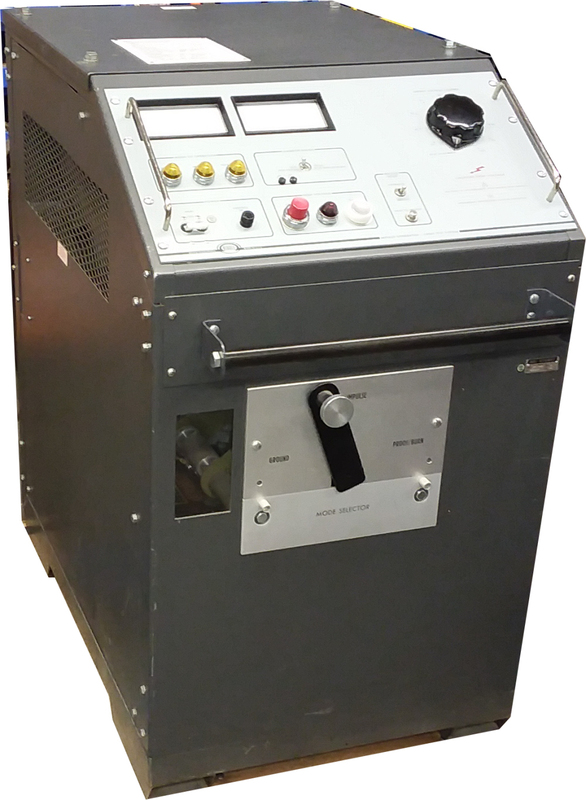 DC proof tests up to 30 kV, 50 mA of burn current and up to 15 kV/450J of high energy capacitive discharge. The Hipotronics CF30 cable fault locator is designed for simple location of medium and high voltage primary cables faults. 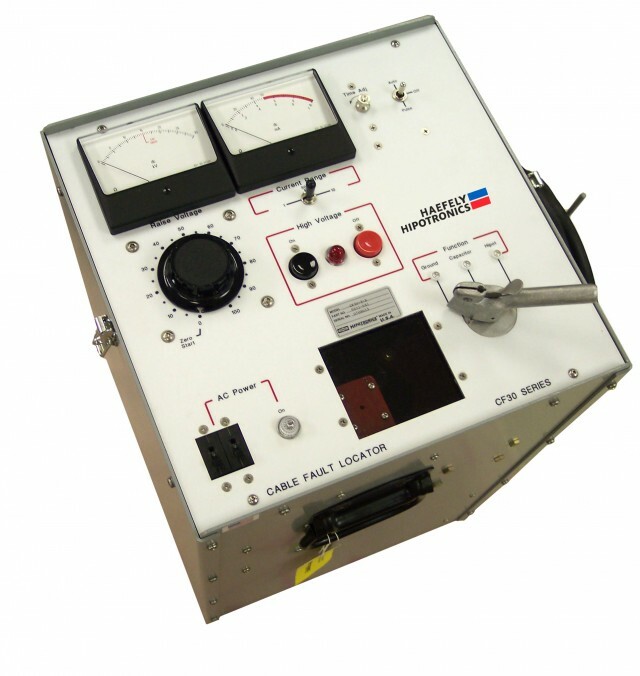 In addition to the high energy capacitive discharge feature, this product allows allows users to perform a high voltage DC proof tester, and use a high current burner for high resistance faults. These self-contained, portable units are rugged and reliable making them ideal for years of field use. The CF30 has a continuously adjustable output for DC proof tests up to 30 kV, 50 mA of burn current and up to 15 kV/450J of high energy capacitive discharge. This product can be easily combined with a time domain reflectometer (TDR 1150 / TDR 1170) via a high voltage coupler (HVC 4100). This combination of equipment can greatly reduce down time to find the fault, and reduce further damage or degradation to the cable under test.